Google is the most popular Internet search provider worldwide. The name itself has even become a verb: We don't look online anymore, we Google everything. Moreover, we use plenty of Google products not even realizing how connected they are. Gmail, YouTube, Translator, Google Drive, Photos (the former Picassa), Play, as well as Google+. The integration of Google products has became stronger. Now we access our email, YouTube videos, images, documents, and social networks such as Google+ and YouTube using one log in and credentials. Therefore it is extremely important to ensure that all of accounts are set up correctly. 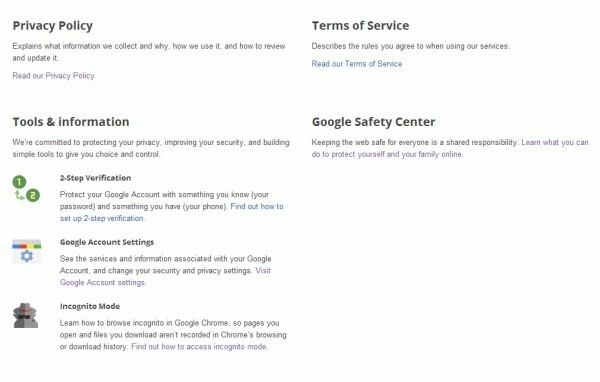 Following our previous articles on Security on Social Media, on Facebook privacy, Graph search or your reputation online, let's take a closer look at Google products with a special focus on privacy of your social account. Google+ is a very specific social network, very often underestimated by the users. Most Google+ owners don't even realize that they have an account on the social channel! 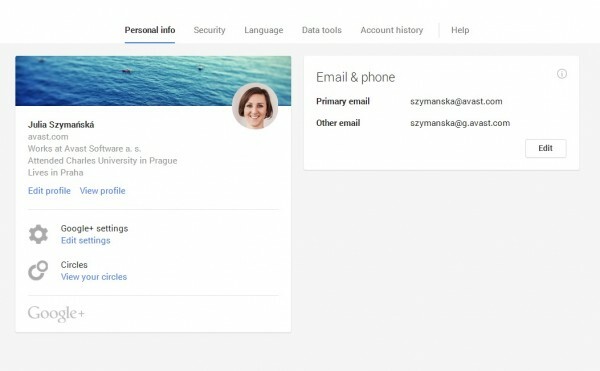 You might not use it actively, but it is important to have your data and profile under control. So let's start with the basics. In the top right corner you can start editing your profile settings. Go to the privacy section. One of the most important features here is a 2-Step Verification. Why you should set up 2-Step verification? adds an extra layer of security to your Google Account, drastically reducing the chances of having the personal information in your account stolen. To break into an account with 2-Step Verification, bad guys would not only have to know your username and password, they'd also have to get a hold of your phone. Go here to set up your 2-Step Notification and follow very simple steps, to set it up and protect your Gmail and Google+ account from being hacked. Once you have your account secured by 2-Step Notification, you can start playing with your privacy settings. Those will primary define your Google+ account. You can also monitor other Google features such as: Hangouts, notification system and most importantly, your apps. Follow up with your precious and private data: Videos and photos. Before we actually get into settings, it is important to realize that you can connect your mobile devices to set up a back up system, so all the pictures and videos you will take with your camera will be automatically saved to your Google+ / photos account. 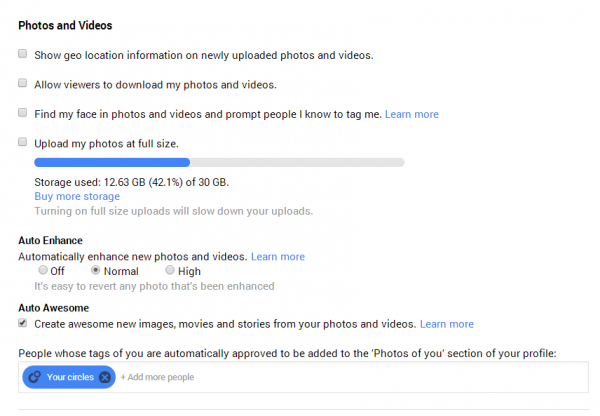 You can also back up in the Google cloud all the pictures stored on your PC. You can take control over tagging, showing geo-location of your pictures (we don't really recommend this, as it allows potential stalkers to locate your position) as well as decide who can download your photos and videos. You're in control: Your content is only shared when you choose, and shared endorsements don't impact who can see your content or activity. To help your friends and others find cool stuff online, your activity (such as reviews, +1s, follows, shares, etc.) may be used along with your name and photo in commercial or other promotional contexts. 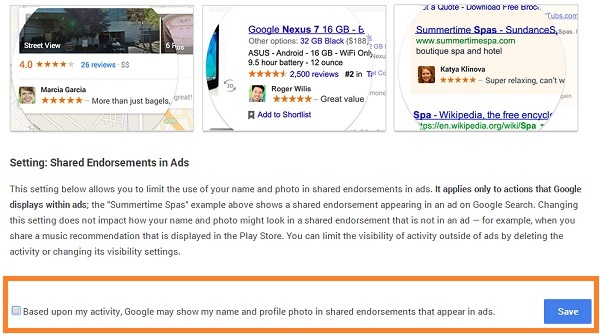 When it comes to shared endorsements in ads, you can choose whether your name and photo may be used to help your friends find stuff you love (and avoid stuff you don't) — you can control this with the setting at the bottom of this page. The name and photo shown in shared endorsements are the public profile name and photo you have chosen on Google+. So if you want to prevent from your profile from being public in Google ads, you should disable this function here. Another important step is to monitor your Google log-in to the third party apps. Here you can manage your apps and Activity Log. 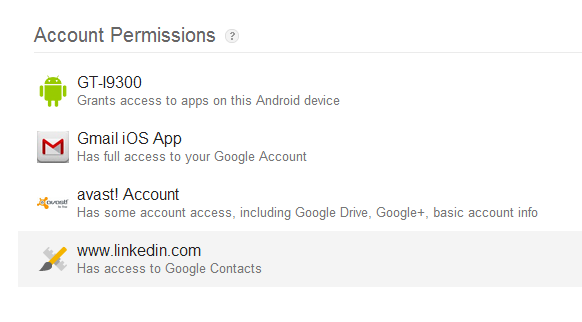 That basically allows you to manage applications that you log into with the Google+ account. Also make sure that you have control over the applications that you connect to your account. Here you can review to which apps you gave permission to access data from your account and learn more about the permission itself, to make your decision. Last but not least, check your profile settings. You can influence which information of your profile will be displayed within the network, as well as decide how your profile will be found in search results. By default, your profile will appear in Google search results. 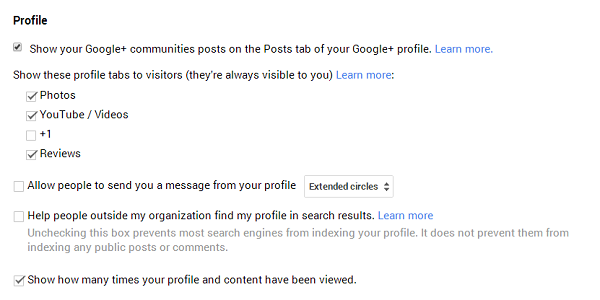 You can change your profile settings at any time if you don't want Google and other search engines to index your profile. ~ explains Google. Bear in mind that all those settings apply for your Desktop and Google Mobile Apps. So make sure you set it up accordingly across your devices too! We always recommend to install regular antivirus protection and keep it up-to-date. AVAST offers it for free. To discover more about Google Security and Privacy, with a special parental control focus, visit the Google Safety center. For regular updates on security, privacy and avast social media channels, follow our blog.